Chris Brown bravely directs wave after wave of men to their deaths in Life Goes On, a new puzzle-platformer steeped in gallows humour. Sometimes the most crucial victories often come at the cost of many lives, and never in gaming has this been more true than in the puzzle platformer Life Goes On, a fiendishly addictive treat where death is not only unavoidable but is required. One part Lemmings and one part Rogue Legacy, Life Goes On highlights the value of self-sacrifice in the pursuit of glory. 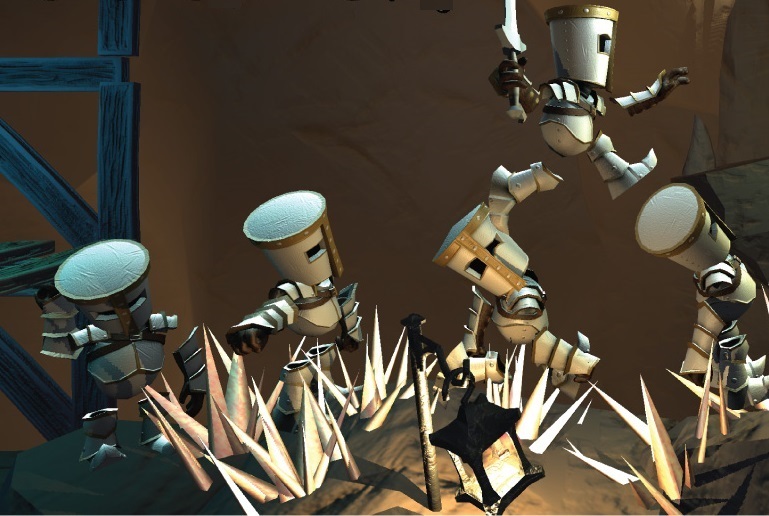 It is a game that will have your Knights climbing, crawling, and jumping over their fallen, impaled, minced, crumpled, and torched comrades in order to retrieve the elusive Cup of Life located at the end of each level. Standing between victory and defeat is a of diabolical catalogue of death dealing devices, but these noble knights will not allow something as trivial as full body impalement, or as inconvenient as a buzz saw to the face dampen their resolve. Every death is for the greater good, and while the names of the dead may be forgotten their sacrifice will not - at least not until the end of the level. Life is very cheap indeed in Life Goes On. Every level provides multiple ways to embrace your inner sadist as the core mechanic begs the player to embrace those darker impulses so often penalised in other games. 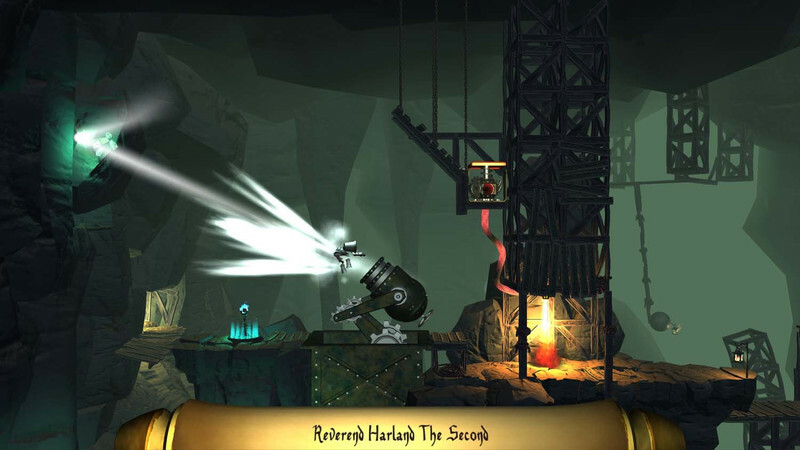 Unlike most puzzle platformers where players must avoid the various mechanical death machines and environmental hazards, Life Goes On requires players to trigger these deadly contrivances. Here, pit traps are navigated by the careful use of a recently impaled Brother as a stepping stone, and elsehwere the clever use of an overhead circular saw will eviscerate a comrade who now acts as a handy platform to grasp that previously unreachable ledge. Putting one’s body on the line has a whole new meaning. Putting one’s body on the line has a whole new meaning. Thankfully the inherent ridiculousness of the premise is fully embraced so the game feels far more Monty Python and the Holy Grail than Game of Thrones. The puzzles themselves start out relatively easy, but will increase in difficulty as progress is made through the game. There is a fair amount of puzzle rehashing, but enough new ideas and mechanics are introduced regularly so that each rarely ever outstays its welcome. Multiple spawn points and trap combinations will provide an adequate challenge to most gamers, but the difficulty does plateau towards the end and detract from the feeling of accomplishment. Still, what is here is for the most part highly engaging, and the splatstick humour is on point for the entire game, complete with pained screams and groans. Life Goes On also has plenty of visual of charm. The 2.5D is executed perfectly, so not once will players confuse what areas of a level are interactive, and what areas are decorative. The puzzles all have an over the top aesthetic and the wonderful ragdoll effects only accentuate the ridiculousness of the whole exercise. An excellent debut from Infinite Monkeys Entertainment. Ups Clever and fiendish puzzles with a well paced learning curve. Exceptional splatstick core premise. Downs Some puzzles are too often repeated. More content would have been appreciated. Final stages lack real challenge.